A great debut album from a very promising Norwegian band! I was lucky enough to hear and meet Rendezvous Point when they supported Leprous on their 2015 autumn tour. I'm happy to say that the band sounded just as good live as they did on this very well produced debut album. Speaking of the album, I must start by stating that this is easily one of the best sounding releases that I've heard from an up and coming band. This was actually not such a big surprise once I looked at the back sleeve of the record and noticed that it was mixed and mastered by the great Fascination Street Studios (famous for some of the best sounding records of the last decade by Opeth, Devin Townsend, Pain Of Salvation, Symphony X, Leprous, Katatonia, Haken, Enslaved etc.). A great sounding album is a good thing but it's not enough if the material and performance aren't equally as satisfying. Luckily Rendezvous Point has all those qualities in place and manages to deliver in both of these categories. 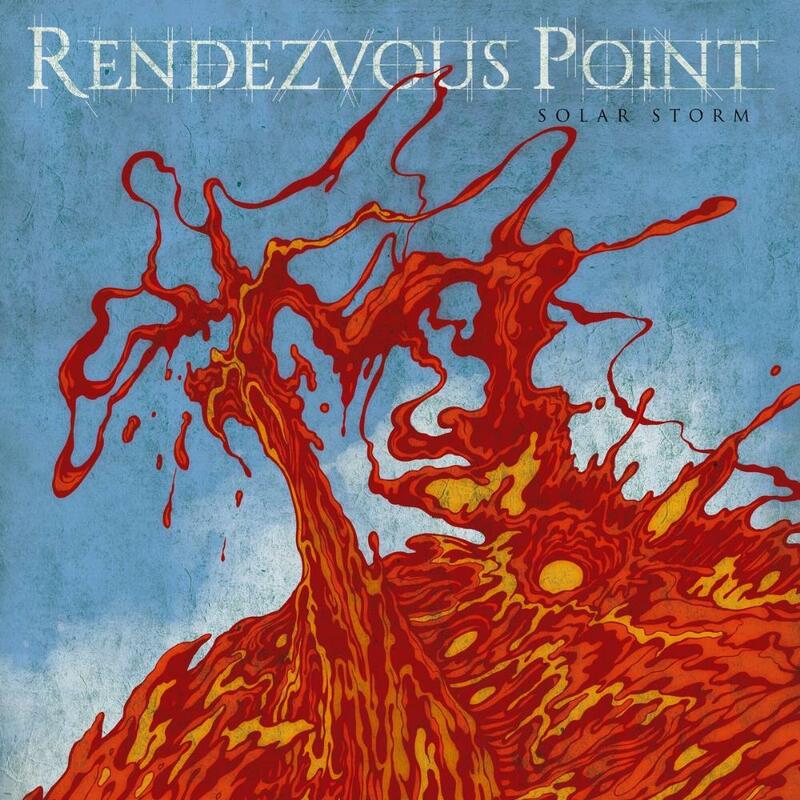 The opening track Through The Solar Storm has been clearly inspired by Leprous, which might not be surprising considering that Baard Kolstad is the drummer for both Rendezvous Point and Leprous. But while Leprous tends to sound very calculated and precise in their delivery, there is the element of surprise (or maybe joyful inexperience?) that makes Rendezvous Point sound so fresh to my ears. Wasteland is the album's promotional single and it's another great piece of music that reminds of Leprous but is a lot more melodic in the approach and is, on occasion, flirting with the post metal genre. Para is the only weaker track for me here, but this is mostly due to the fact that it sounds too much like Dream Theater both in its melodies and the instrumental sections. The Hunger and Mirrors are two tracks that I want to enjoy more than what I actually do but they're great pieces of music none the less. The Conclusion is where we return to the heights that were previously featured on Through The Solar Storm and Wasteland. Divided into parts 1 and 2, this is easily the highlight of this entire album where part 1 serves up the themes while part 2 knocks them out of the park - one great piece of progressive (metal) music! I highly recommend Solar System to all fans of progressive music and especially those on the heavier side. What you get here is great material combined with great performances and an awesome production to top it all off, what's not to like? I'm definitely gonna keep an eye out for any new material from Rendezvous Point as I'm certain that greatness lies ahead for this young quintet.